University of Redlands Distinguished Fellow Eric Liu wants you to have civic power and to know how to use it. Founder and CEO of Citizen University and former White House speechwriter, Liu brought his message to the Redlands Forum last Thursday evening, after spending the day speaking to students in first-year seminar classes and the School of Education at the U of R.
“I want to democratize the understanding of how power works,” Liu told the audience at the Redlands Forum, a cultural and educational series jointly sponsored by Esri, the University, and U of R’s Town and Gown. Liu wryly defined “power” as the capacity to have other people do as you would like them to do—something he said humans in the company of other humans have been trying to do since the dawn of history. He urged audience members to put aside any qualms they had about naming power so they can take steps to remedy its inequity. Power compounds. As the rich get richer, the powerful tend to become more powerful. Power justifies itself. From beliefs such as the ancient “divine rights of kings” (i.e., royalty is descended from the gods) to the modern-day “trickle-down theory” (benefits for the wealthy trickle down to everyone else), those in power work hard to spin narratives justifying the way things are. Power is infinite. Unlike physics, civics is not a zero-sum game. “In civic life, you can develop power out of thin air by organizing,” Liu said, pointing out that this tenet opens the door to real change and means that groups of all political persuasions have formidable tools at their disposal. “Politics is not winner-take-all, but an unending contest for relative advantage,” he said. Change the game. Working outside the current system is often the most effective way to enact change. Liu cited one of his own groups’ efforts to enact gun-control legislation in Washington State. While the activists were unsuccessful when they tried to lobby the legislature for universal background checks, they eventually succeeded by going outside normal channels with a “common sense” measure on the general ballot, which passed with more than 60% of the popular vote. Change the story. Liu noted Tea Party members successfully shifted the narrative in the Obama presidency by linking government assistance to what they described as power-hungry government officials. Change the equation. Activate networks to exercise power, Liu advised. This tactic has been used successfully by organizations from Indivisible—a group that rallied around an anti-Trump organizing guide written by former congressional staffers—to Encore—a movement that taps the skills and experience of those in midlife and beyond to improve their communities. Liu prescribed “radical inclusion” as a remedy for today’s political ailments. At Citizen University, Liu and his colleagues assist any political group that comes to them for help exercising civic power, as long as leaders commit to organizing at the grassroots level. 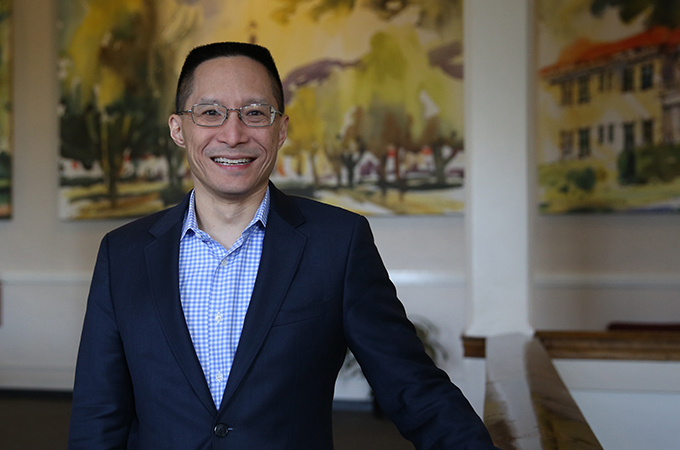 For more information on Liu’s point of view, check out his most recent book, You're More Powerful Than You Think: A Citizen's Guide to Making Change Happen (Public Affairs, 2017).